Shiny. Magic players like shiny objects. Released last weekend was Premium Deck Series: Slivers. 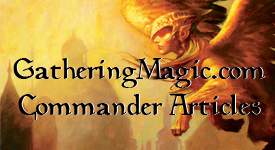 While it’s a 60 card deck, it’s a great place to start if you love Slivers and have wanted to stat out in EDH (Rules here). Due to the request of my twitter audience (@mtgcolorpie), I’ve been asked to finish off the deck and make it into a Full EDH deck. But there’s a problem. It’s an unhealthy hate that I’m sure the next time I’m play Legacy, someone will beat me with a Slivers deck and it will be poetic justice. I am biting the bullet to make you, my audience, happy. Don’t say I never did anything for you (you know, besides writing). This will also be the first deck that I haven’t played so there might need to be some tweaking. For the time being, this will also be the only Sliver EDH article on this site. If you build one, you’ve built them all (thanks to the wonderful linear design concept). I do, however, like the idea of the PDS and love the packaging; if there was another one, I might purchase it. (For those of you wondering where my journalistic “keep emotions and feelings out of your articles” integrity is, I don’t report the news). Let’s get started. 3: Search your library for a Sliver card, reveal that card, and put it in your hand. Then shuffle your library. 3: Gain control of target Sliver. With these two powers combined, it is a very interesting General and you can still play the Queen and Legion in your deck, and to tutor them out. If you’re playing a Sliver EDH deck, at least use the Overloard as a General; it’s the most logical choice. Whenever Metallic Sliver is dealt damage, put a +1/+1 counter on it. 2: Choose one – Metallic Sliver gets +0/+1, +1/+0, or +1/+1 until end of turn or regenerate Metallic Sliver. 2, Sacrifice Metallic Sliver: Choose one – Metallic Sliver deals 2 damage to target creature or player, or Gain 4 life. 3, Sacrifice Metallic Sliver: Destroy target permanent. Pay 2 life: Return Metallic Sliver to its owner’s hand. What is a Toolbox Deck? A toolbox deck is exactly what it sounds like: a toolbox. Much like an actual toolbox, you get whatever you need for a certain situation (if you need something to get a nail into wood, you grab a hammer). Slivers are the perfect creature for this type of deck since they cover so many situations (like a toolbox). Destroy an artifact, I’ve got a Sliver for that. Gain life? Got what you need. I’m assuming that as a fan of Slivers, you’d have at least one of each kind (save maybe Sliver Queen). The best way to look at this kind of deck is to make it a toolbox deck. For that, we already have two Slivers (Overlord and Homing) but we need to add the best card to this kind of deck: Survival of the Fittest. You don’t care if you’re dumping Slivers into the graveyard because of what will happen later. While everyone has different opinions about how effective any of these could be at certain times, there is one Sliver I believe to be the best out of all of these: Quick Sliver. It’s because of this guy that we can play all of the other slivers at the best time possible. Large Frieball coming toward your face? Flash Pulmonic, then Darkheart to sacrifice slivers to gain life and put them on the top of your library. Need to tap an opponent’s team to go in for an alpha strike next turn? Flash in Telekinetic. How about that Terror going to target your Quick Sliver? Oh, I think Crystalline has something to say about that. Remember, if you build this is the toolbox, these aren’t hypothetical situations, these are real game scenarios. With this guy on the table, you’ll keep your opponents guessing about what your next move is and that’s a hard thing to do while you’re playing Slivers. Quick Sliver – Gives every other Sliver flash, including your General (please keep this in mind). Homing Sliver – Uses the Slivers in your hand to go get other slivers. While he can cycle himself, he does no good for you in the graveyard, you need him on the battlefield. Yes, you have to discard the slivers in your hand, but that’s fine. Again, we’ll get to that. Sliver Overlord – See above, but without all the discarding. Plus, it’s your General. Gemhide Sliver – Most of the Slivers have a static ability (that means it works without tapping or using mana, it’s always on). Put them to work as mana sources and be able to put those Slivers in with Flash to make it really unexpected. Hibernation Sliver – Most Sliver players might not put this in their deck, but I suggest you do. First, you start out with 40 life, so don’t worry about the life loss. Second, until you get Crystalline into play, this is the best way to protect your army. Third, you get to replay Slivers. It’s really good. But you can’t have an EDH deck that’s nothing but Slivers (sure, you could try, but let’s not). Thanks to two Tribal blocks, we have some fun toys to play with. Let’s see what else we can throw in here. Unnatural Selection – Alright, so this is in Apocalypse, but this is one of the better cards out there for this deck. It allows you to turn other creatures into Slivers; this is amazing for two reasons: Politics and stealing. If you combine Unnatural Selection and Sliver Overlord’s second ability, you can for 4 mana, steal any creature in play. That makes you a dangerous target. But by turning an opponent’s creature into a Sliver, you can make friends. If someone’s creature is about to die, turn it into a Sliver and boom, protected by Crystalline Sliver. Or it gets the bonus from Muscle Sliver, etc. This is how you make friends when you’re playing Slivers. This is almost the same as Amoeboid Changeling in the PDS decklist but better. Door of Destinies – A staple for any Tribal EDH deck. Again, this makes you a target, but you can smash face pretty easily as well (Note: this goes along well with Hibernation Sliver). Harsh Mercy – You want to have some fun at the table, play this. You’ll protect your Slivers while people are scrambling to bargain which creatures of theirs they want to save. Then, if you’re being nice, change some of the creatures with Unnatural Selection to Slivers to save them. Or, if you’re being naughty, change them to something else then what they said to kill them anyway. Patriarch’s Bidding – Ah, the one card you’ve been waiting for. If you cycled away all of those Slivers (or Survival of the Fittest) or you get Wrathed, this will save you. After you’ve played this once, people will take you seriously when you start throwing everything in the ‘yard. Only downside: spending 10 minutes to find out what happens when all of the Slivers enter the battlefield at the same time. Note: You can’t use this with Unnatural Selection (they’re in the graveyard). Shared Triumph/Steely Resolve – Both enchantments of abilities that Slivers have. Do not get Wrathed away (which is key). Urza’s Incubator – Makes your Slivers cheaper to play. What’s not to like? Sure, there is more stuff that you can do with a Sliver deck then I realized (but still no more Sliver EDH decks). There are certain things that I didn’t touch on that would be great for Sliver decks (AEther Vial (also lets you play Slivers as instants), Volrath’s Lab and Riptide Replicator both let you make Sliver tokens, Carnage Altar lets you sac your opponent’s creatures you steal), but to each builder their own deck. If I was going to build a Sliver deck (being the Johnny/Spike I am), this is how I would build it. There’s no land in this decklist. I’m going to do an article about 5-color mana bases and I’ll defer to then (or if someone else wants to talk about it, it would make a great article to submit). If you want a full decklist of a Sliver EDH deck where he did the same thing but went a different direction, see mtgdecksource’s EDH decklist. Fun combos in there (Flame Fusillade + Toxic Sliver + Vampiric Sliver = Kills all other creatures plus make yours bigger) but the most “Johnny” is the Eternal Witness one. Sure, playing her once is great, but how about multiple times? Remember Hibernation Sliver? If you turn Eternal Witness into a Sliver, guess what, return her back to your hand then play her again to get a card back from your graveyard, repeat as necessary. @BottsThoughts suggested adding Intruder Alarm into the deck: with Gemhide Sliver producing mana and Overlord searching for more Slivers, you could thin out your entire deck of Slivers. Just a thought, you know. This entry was posted on Tuesday, December 1st, 2009 at 12:30 am	and tagged with Sliver Overlord and posted in EDH, Magic: the Gathering. You can follow any responses to this entry through the RSS 2.0 feed. I used to be a big fan of slivers in constructed formats because the redundancy really helps make the tribe work. Switching over to a singleton format though really takes some of the wind out of their sails though. Great article as always. I think that you did a great job with the list. Essence Sliver: No-brainer in my opinion. Opaline Sliver: A good way to draw cards passively which is important in creature-heavy decks. Psionic Sliver: Great finisher, as well as a powerful board pressence alongside some “Pump my Slivers” Slivers. Shifting Sliver: Can just end the game. Sinew Sliver: Who doesn’t want multiple Muscle Slivers in their sliver deck? Synchronous Sliver: Some extra defensive capabilities. Talon Sliver: Excellent for increasing Sliver’s lifespans. Ward Sliver: Good for keeping slivers alive, especially in EDH where you can see the colors of your opponents decks. Also acts like Shifting Sliver against some decks. Rite of Replication: “Rite of Replication with kicker, targeting Might Sliver?” Nuff said. Those are just some random ideas for your readers. Dormant Sliver: I should have added this the first time. There are enough sac outlets to make this lose the Defender. Do it. Opaline Sliver: If you’re going to search up a Sliver, 99/100 times it’s going to be Crystaline, which makes this Sliver useless. Psionic Sliver: This plus the Essence Sliver you added give you 5 life. Shadow Sliver: Do not put this in. Once this hits play, your Slivers can’t block since they have shadow. You have a huge target that people will swing in a kill you. Talon Sliver: Double Strike w/Fury Sliver is better. Ward Sliver: You also can’t target your own Slivers with that color. Keep on building and making it your own. I think many players have different opinions on what slivers to play. I have to say that I’m trying to build an EDH Sliver deck right now and can’t figure out what slivers to pick. Of course I made some choices (like 20 slivers I would like to run) but then there are slivers I can’t figure out much. EDH usually runs multicolored decks. Having protection from one won’t be such an advantage I think and it can also become an disadvantage. well, playing Ward Sliver means playing slivers that don’t target. If you have enough slivers that can sacrifice then why not play shadow sliver? When you have enough slivers on the board to deal sufficient damage (or enough slivers to poison your opponent) why not use shadow sliver for it and then just sacrifice it or return it to your hand? Ok this probably won’t work that well in EDH. I have to try my deck out first and see if this has a change of working. hehe, there are so many people who hate slivers. and there are many people calling the slivers all other words than slivers. I’m glad I’m not the only one who hates slivers! I would put in heartstone and basal sliver for the queen so you can have a possible infinite mana or sliver token combos to the mix This will help when your getting hammered by one of the three big legend eldrazi who are almost impossible to kill and combined with spells like consume sprirt since its black mana Yours loooking at gaining infinite life on one enemy and then dispatching the rest and with that patriachs bidding you can counter wrath a little bit easier.